Lake Powell on the Utah, Arizona border serves as the water savings account for Colorado, Utah, New Mexico and Wyoming. Without significant rainfall this summer and fall and above average snow this upcoming winter the combined reservoir storage could dip to 44 percent of capacity by April 2019 according to Reclamation models. The previous low point for total system water storage came after the two driest consecutive years in the watershed on April 1, 2014, when the river’s reservoirs were at 47 percent of capacity. “We’re in uncharted territory for the system,” says Jeff Kightlinger, general manager of the Metropolitan Water District of Southern California, the water wholesaler for the greater Los Angeles area, which relies on the Colorado River for a portion of its supplies. “Everything is new, and it is all bleak. None of it is positive,” Kightlinger says. The root cause of this problem is two-fold: Low snowpack this past winter is causing reservoirs already sapped by 18 years of dry conditions to dip even lower. And the river itself is over-allocated, where more water exists on paper in the form of water rights, than what exists in reality. 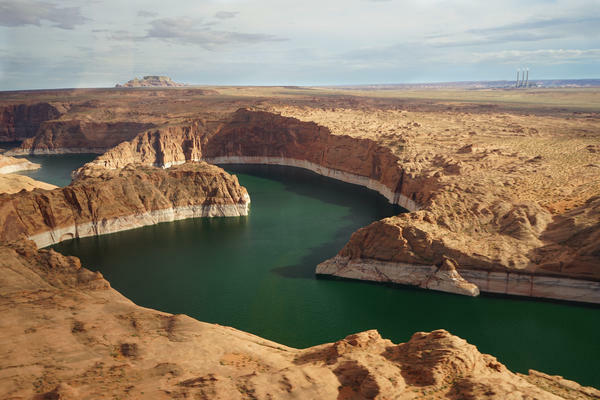 Lake Powell, the water savings account for Colorado, Wyoming, New Mexico and Utah, is taking the brunt of this year’s dry weather, says Rick Clayton, a Salt Lake City-based Bureau of Reclamation engineer. “Lake Powell is not getting a very significant inflow and we’re making a pretty large release,” he says. Inflow to Lake Powell, provided by the Colorado River’s main channel and the San Juan River, is projected to be 39 percent of average. That places 2018 among the driest years on record for the river basin. The river’s reservoirs have remained low for nearly the entirety of the 21st century, Clayton says. Colorado, Wyoming, Utah, New Mexico, Arizona, Nevada, California and the country of Mexico all claim some portion of the Colorado River’s flow. The river provides water for about 40 million people in the southwest and irrigates 1.7 million acres of farmland. The federal agency that oversees water in the West says southwestern states are facing an increasing risk of water shortages. The U.S. Bureau of Reclamation is now adding pressure to stalled talks over the Colorado River’s future. 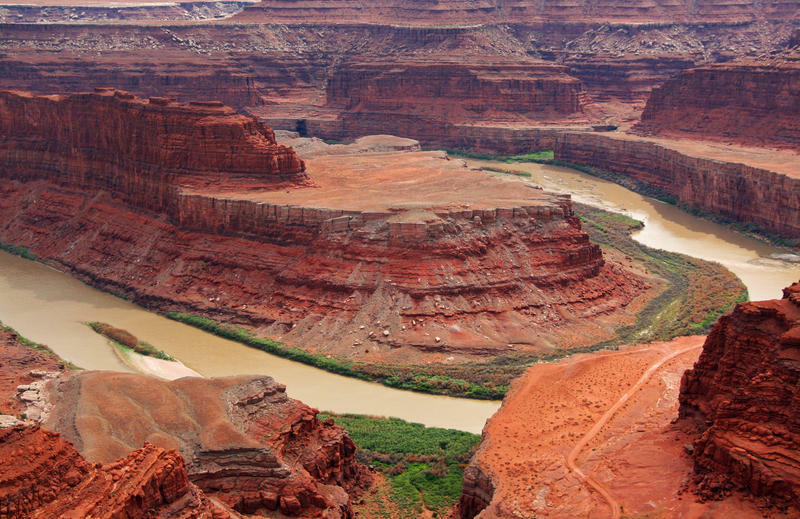 Without action from states that rely on the river, there’s a 52 percent chance the Colorado River will be in an official shortage in 2020, according to figures compiled last month. Arizona and Nevada would be among the first to take cutbacks during a shortage. An extended drought and chronic overuse have sapped the river’s largest reservoirs.